No. There are no long-term contracts. You simply pay month-to-month. Don't need us anymore? Just cancel at any time – but don't tell us "it's not you, it's me", we've been hurt before. 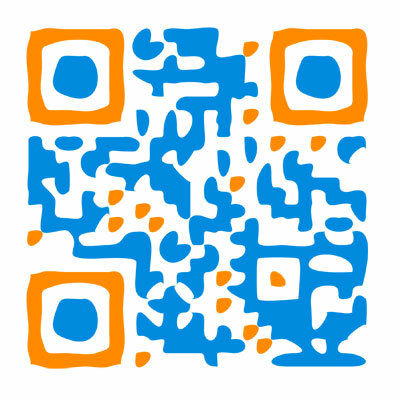 What specific information will I see about users who scan my code? Scan date, type of device (iOS, Android, BlackBerry, Windows Mobile, etc. ), GPS location (if user allows), IP location (if IP can be acquired), and City/State/Postal Code/Country (if enough location data can be determined). Scans are shown on a graph by date (any date range can be set) and GPS/IP locations are shown on a navigable map. You can also download all of your scan information in CSV (opens in Excel) and TXT formats. Can I see specific information about users who scan my code like email address or phone number? No — and note that no service will be able to provide this. You can however ask for such information on a form you link to from your code. Groups allow a better way to manage multiple codes. Let's say you have a bunch of codes that all have a common theme, such as New York City. By creating a Group, you can associate all New York City codes for easy management and quick group level reporting. A campaign defines what content an individual code points to. The same code can have an defined end date and even change over time as you edit the target content. Can I change what content my code points to? Yes! This is one of the big advantages to using our system. Once your code is created you can change the content it points to at any time. Print and distribute your code once and update what it points to on an as-needed basis. Once a user scans a code and the defined content loads, we log the visit and provide analytics such as the time of scan, type of device, geographic location, and more. What happens when I reach my monthly scan/visit limit? Your code(s) will continue to work. However, you may not be able to see analytics for any scan/visits over your limit. Why do I see less location data than I do scans? Grabbing a user's location is almost never an automatic process. Users who scan your code need to specifically allow you to capture such data. If they do, a blue marker is shown on your dashboard map. These points are usually accurate down to a few yards. The users without such data will be shown as red markers. For these points we capture an IP address and can sometimes place them within a region/city, but this is not an exact science. Finally, in many cases we can't get any location information at all, though we do record the scan itself. This leads to more scans being recorded than location data to go with them. As part of our Genius and Enterprise packages, you can host files (PDF, Word Docs, Images, Videos, and more) that can be delivered to your users once a code is scanned. This allows you to easily post content without having to worry about uploading to your website or hosting with a 3rd party. If I convert a free account to a paid one, will my codes and analytics history transfer? Yes, when you upgrade your free account, the current code you are managing will be migrated to your new paid account. We accept Visa, MasterCard, Discover, and American Express. At this time we only accept online credit card payments so we cannot accept a P.O., invoice you, or take an order over the phone. Will my code(s) ever expire? No. As long as you have an account with us (even a free one), your code will continue to work. What do users need to scan my codes? 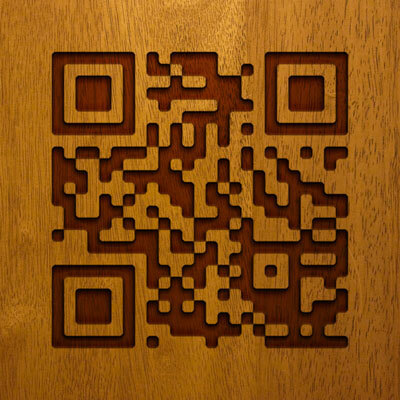 Any of the hundreds of QR Code scanning apps that exist on all platforms – iOS, Android, Blackberry, Windows Mobile, etc. How do I get my code to print or send my designer? Log into your account. Go to the "Codes" page. Click the download icon. There are several image format and size options. NOTE: On download, the code image file will be saved wherever you have set your web browser to store files. While this is usually your desktop or a downloads folder, it could be set to something else. Can I make my code a different color? Yes! Color selection is part of the download interface. We even save colors you've used in the past so it's easy to use them again. Can you make me a custom designed code? Yes! We can customize any of our codes (see examples below). The service costs $149/code. Please contact us for more information. How "big" do my codes need to be when printed? Our codes are technically readable down to 25x25 pixels. However, many variables need to be taken into consideration. These include: DPI (dots per inch) of the final printing method, zoom/focus capabilities of the user's smartphone camera, and the distance from the code that the user is positioned when scanning. To simplify, in the case where the code is within a foot or two from the user, the absolute minimum code size would be in range of 0.5" square. As the distance the user would be from the code increases, the necessary code size does as well. If your scan distance will be over a few feet, we recommend testing your code by printing it out at various sizes and doing some real-world testing with varied devices. Why do my codes initially go to a URL starting with "smartyt.ag"? In order to capture all of the analytics data from a user's device, they must visit our system first. They are then immediately redirected to your content. All 2D Barcode tracking systems work in the same manner. The process is usually invisible to the user, but it depends on their device and scanning app. Using our short URL in the codes also provides two big advantages: 1) Codes are a uniform, small, size that provides greater flexibility in printing (the more content in a code, the larger the code needs to be) and 2) You can change what a code points to without changing the printed code. For additional details on this, please see the answer directly below this one. What is the difference between "free" codes I can generate anywhere and SmartyTags? Unlike a UPC you might be familiar with from product packaging, QR Codes directly contain all of the information within them. 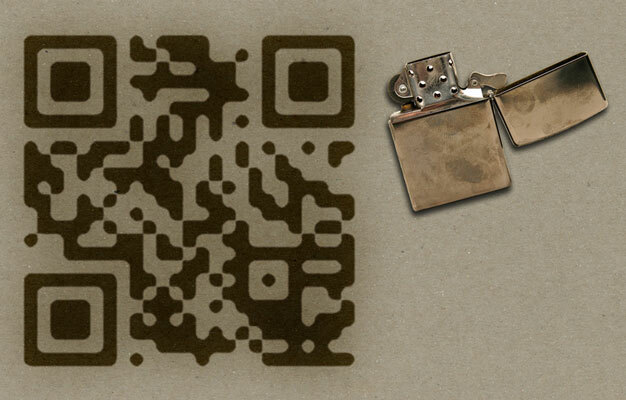 Put simply, QR Codes are a visual representation of information in a form that scanners can understand. You could feasibly put up to 4,296 alphanumeric characters into a single QR Code, but this code would be huge (lots of pixels). The more data in a code, the larger it needs to be to contain this data. The bigger the code is, the harder it is for users to scan and the more space it requires in printed form. The link can never be changed without changing the actual printed code. Remember, the code is just a visual representation of the letters and symbols which make up your specific URL. If you need to change the URL, you need to change the code itself. Analytics become more difficult. You could point the code to a URL you are tracking on the backend through other means (a specialized, customized, URL). Depending on your analytics platform, you may then be able to get usage and device data. However, you almost certainly would not be able to get geolocation data beyond the state level. Depending on how long your URL is, the minimum code size increases. For uses in print, this can be very troublesome. You can change the URL or even type of code (link to text/HTML content, a Facebook "Like" page, uploaded file such as PDF, image, video, etc.). Print the code once and change content as you go without changing the printed code. We capture all analytics in that brief moment as we redirect the user to your content. All codes are standard 25x25 pixel size. Always. Internet Explorer 8+, Firefox 3+, Safari 3+, and Google Chrome. Basically any web browser released during or after 2009. We're old school and all that, but only to a point.